1 GBP = 1.1414 EUR. See live rates here. 1 EUR = 0.8762 GBP. See live rates here. The analyst community are seen turning increasingly negative on Pound Sterling once more with a number of recommendations being made which suggest traders should seek to profit on further losses. The shift in mood comes as the Conservative party see their lead over the Labour party narrow providing a potentially lethal cocktail of uncertainty for a country that is about to negotiate its way out of the European Union. 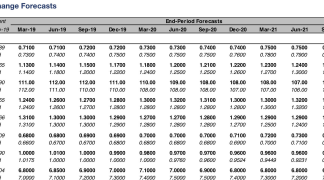 Our latest on this theme has us publishing a story on HSBC forecasting that GBP/EUR should fall to 1.0 over the course of coming months citing a slowing economy as an additional drag. However, today we are able to report a contrarian view to the barrage of negative news pertaining to Pound Sterling. One particularly profitable vehicle for a bet against the Pound is to buy the EUR/GBP exchange rate pair - i.e buying Euros while selling Pounds. RBC Capital Markets have for instance made this a ‘trade of the week’ as they see the Euro’s run higher against the Pound continuing near-term. They also believe the trajectory of the UK’s election will provide a further dose of disappointment for the Pound. Another example, Morgan Stanley are eyeing the EUR/GBP exchange rate to break above 0.90. But strategists at Barclays are happy to adopt a contrarian approach it would appear. The Euro is the best-performing currency in 2017 amongst the group of the world’s ten largest currencies. 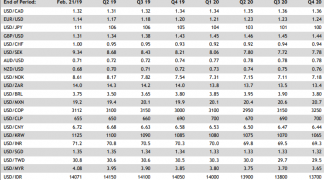 The outperformance comes amidst firming economic growth and diminished political risks which have allowed for massive flows of capital into the Eurozone as investors seek out investment opportunities. Foreign exchange traders are also betting the European Central Bank (ECB) will soon start communicating a desire to start raising interest rates and halt their bond buying programme. But Barclays are not entirely convinced that this story is durable. In fact analysts at the British bank say they continue to expect EURUSD to trade in a 1.06-1.12 range. This at a time when many in the analyst community are raising their forecasts for the Euro against the Dollar. 1) Early Italian elections have become a realistic risk; hence euro area politics can no longer be ignored in asset allocation decisions. It is worth reading about a similar view on the matter held by strategists at Handelsbanken who recommend selling the EUR/USD. 2) Analysts say Eurozone stocks simply need to perform better and offer better actual earnings than they expect will be the case to justify further advances in the Euro. rate hikes in H2 18. But the risks around our forecasts and market pricing appear skewed to less removal of policy accommodation given actual and expected inflation trends and the experiences of other major central banks in more cyclically advanced economies," says Barth. 3) Risks around the ECB likely are skewed to lower for longer, given market pricing. One issue to expect the ECB to not offer much support to further Euro strength is that global inflation trends are fading once again. Something confirmed in the Eurozone’s most recent inflation data. “As a result, we believe the EUR rally will quickly fade,” says Barth. Meanwhile, the outlook for Sterling is certainly brighter, particularly for those with patience who can wait until 2018. Barclays continue to believe in the fundamental case for sustained GBP appreciation over the course of the next year, as increasing information flow reduces Brexit uncertainty and worst-case scenarios are trimmed. Despite some narrowing, polls still firmly project a sizeable Conservative win; purely statistically speaking, the only questions are how large their majority will be and what message the election will deliver for Prime Minister May’s Brexit negotiations strategy. Barclays recommend selling EURGBP spot with a spot reference of 0.8710, a suggested take-profit level of 0.8314 (the YTD low) and a suggested stop loss at 0.8854 (the YTD high and 23.6% Fibonacci retracement of the 2015 low to “flash crash” high). EUR/GBP at 0.8314 translates into a Pound to Euro exchange rate of 1.2028. 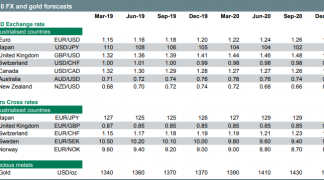 “These considerations suggest to us that GBP weakness of almost 2% versus the USD and the EUR over the past week, largely in response to the recent narrowing of polls, is an overreaction and that the election thereby presents a short-term upside risk to GBP. Given our belief that EURUSD likely is at the top of its range and primed for a reversal, we see the best risk-reward tactical opportunity in short EURGBP,” says Barth. The British Pound fell sharply against the Euro ahead of the weekend amidst a broad-based rally in the European currency. There was no immediate sign of any Sterling-related reason for the sell-off. Rather, the culprit appears to be the Euro which according to one analyst “got its groove back” after slower U.S. hiring inspired a fresh round of Dollar selling. “The Euro earlier in the week had its gains checked after Eurozone inflation slowed more than expected, suggesting less scope for the ECB next week to sound a hawkish note,” says Joe Manimbo, an analyst with Western Union. Key for the Euro going forward will be the extent to which officials signal a chance of reducing stimulus in the months ahead. “Failure to open the door to reduced stimulus this year would leave the Euro ripe for a corrective move lower,” warns Manimbo. 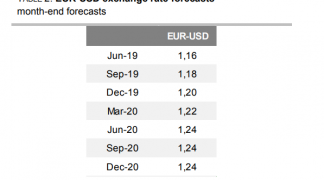 The ECB next meets on June 8 and no change to its low rate policies is expected, but officials could sound a more cheerful note with inflation out of a deflationary zone and unemployment trending lower.